The Harvest throughout Europe is now over, but if you haven’t had a chance to get your hands dirty, the good news is you still can! The vineyards that we work closely with are constantly busy throughout the year, and one of our favourite things to do is blending and creating your own unique wine or Champagne. 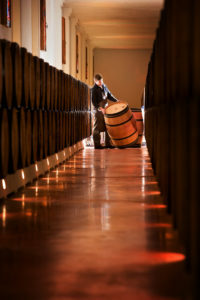 We can offer many unique hands-on wine activities, which we offer on a bespoke basis. So, if the thought of creating your own Cognac cocktails, spending the day as a wine maker, or even trying your hand at disgorging and labelling your very own bottle of Prosecco tickles your taste buds, get in touch and our specialist sales team would be delighted to talk you through the options. 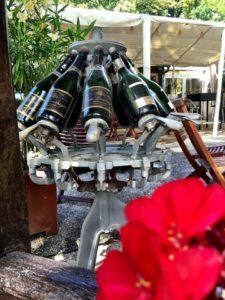 In our Hidden Gem Château Pape Clement itinerary, we can offer you a unique opportunity to create and personalise your very own bottle of wine, to take home. You will firstly be told about the secrets of the wine-making process and get to sample some of the Grand Cru Classé wines produced at the estate, before having the opportunity to create your personal Bordeaux blend, taking the bottle of wine which you create away with you – the perfect hands-on wine activity! Moreover, in this wonderful itinerary, you will visit a further Château for a tour of the estate and tastings of their wines. It offers the perfect combination of getting involved in the ‘nitty gritty’ and being creative, as well as the chance to sit back, relax and enjoy sampling some of the delights that Bordeaux has to offer. Many of our guests enjoyed our harvest tour in Champagne this year, and dates for same tour in 2018 will be released around January. In the meantime, why not try our Make Your Own Champagne itinerary? This is designed to give an in depth understanding of the Champagne making process and you will be able to partake in a blending lesson, you will be able to try the three base wines and then create your very own unique bottle of Champagne to reflect your personal taste, furthermore you will also be able to try the Champagne House’s own Champagnes, and will be escorted around the vineyard to learn about the work required to run a Champagne House and about the history.